If You Build It, They Will Come. But Then What? We all know the demographics of ultimate. There are notable exceptions, but the sport is dominated by kids who picked it up in suburban high schools or young adults who discovered it at university while pursuing degrees. As a result, the ultimate community is predominantly suburban, educated, and white. Unfortunately, kids from underrepresented communities have neither access to ultimate nor acceptance of the sport by family and peers—so they don’t play. This point was driven home by a blog I recently read that offers a number of interesting solutions to help the sport become more diverse—both culturally and socioeconomically. But what I found most striking about the piece is that a lot of what it describes is already happening in San Francisco. When I first spoke to Rocky Beach, founder of Ultimate Impact, in the fall of 2016, he described his plan to introduce ultimate to kids in underrepresented communities across the San Francisco Bay Area. Rocky had recently quit his job as Director of Partnerships and Development for CODE2040, a non-profit with the mission of increasing Black and Latino representation in the tech economy. Years before, he had developed a relationship with the Program Director at Hunters Point Family, a youth program operating in a park a few downwind backhands from the rubble of Candlestick Park in one of the Bay Area communities that are often cynically portrayed in the media. The youth program drew kids from the surrounding neighborhoods—Double Rock, Alice Griffith, Oakdale, and Hilltop. These were resilient kids, many with harrowing stories to tell. Rocky explained to me that he wanted to make a difference in the lives of these kids and that he was dedicating his creativity, time, and passion to the organization he founded to teach ultimate in Hunters Point. During my long conversation with Rocky that day, I was immediately struck by his qualifications. 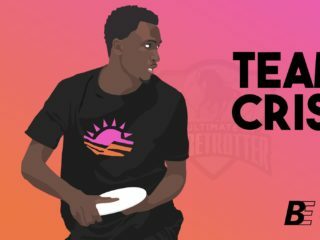 He was a World Champion ultimate player with Revolver and had worked for United Way of the Bay Area for nearly a decade, so he understood both the sport and how non-profits operate. I was also struck by his passion. I felt what a lot of the kids, parents, and administrators must have felt after speaking with Rocky—that he was in this for the long haul and he was committed to making it work. At the time, I hadn’t played competitive ultimate in 22 years. My life had been swallowed by my work for an international law firm doing intellectual property litigation and there was barely enough time left over for family and sleep. I was seriously considering retiring from the law and devoting myself to some of my other ambitions and long-dormant passions—including ultimate. I’d accepted a job coaching the Santa Clara University Men’s team a few months earlier and had spent a chunk of time studying how the game had evolved in the twenty-plus years I’d been absent. As I got up-to-speed on the strategic evolution of the sport, I was saddened to see that the demographics of the sport had barely changed. It was still dominated by educated, relatively affluent, and predominantly white people. 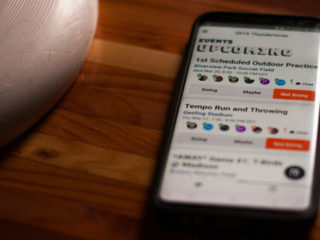 Immediately, I understood that Ultimate Impact offered the promise of fundamentally changing the demographics of the sport by expanding its cultural base. Far more importantly, at the heart of Ultimate Impact was the promise of helping kids growing up in challenging circumstances find a positive, constructive outlet for their energy and ambitions. This was a team I wanted to be a part of. I convinced my firm to accept Ultimate Impact as a pro bono client. We helped get 501(c)(3) status for the organization so it could accept tax-deductible donations. We helped draft formation documents and other legal paperwork. I also joined the Ultimate Impact Board of Directors in the spring of 2017. I knew Rocky was the one building a field of dreams, but I felt compelled to do whatever I could to help make the vision a reality. The simple part of the Ultimate Impact program was introducing kids to ultimate. It should come as no surprise to anyone who plays the sport that the kids took to it immediately. The challenge was getting the program to take root in a community where chasing a piece of plastic didn’t carry much credibility. It started with the Hunters Point Family youth program, where Ultimate Impact provided weekly mentorship, age-appropriate drills, and most importantly, the opportunity to throw, run, and have fun. Soon the program was being noticed, first by kids playing in the adjacent playgrounds who started drifting over to learn how to throw, then by parents who saw their kids coming home from the park excited, tired, and counting the days until the next training. Finally, and most critically, the people who supervise local after-school and athletic programs took notice. They saw how Ultimate Impact was filling kids with confidence and enthusiasm. They saw how the tenet of self-officiating was helping teach kids to resolve disputes using compromise, cooperation, and communication. And they wanted to bring the program into their schools. Why was Ultimate Impact succeeding in making inroads into the Bayview-Hunters Point community when other youth sports programs (such as lacrosse and rugby) had failed? Consistency. Ultimate Impact was there every week, rain or shine, with a bag of discs, a box full of donated cleats, and a lot of energy. The kids, the parents, and the administrators saw a level of commitment and reliability that they had never seen before and it gave them confidence. It felt real and it felt like it was going to last. As the Hunters Point program grew, Rocky began enlisting the help of some former JAM players, Revolver teammates, and other experienced players to come out and volunteer. 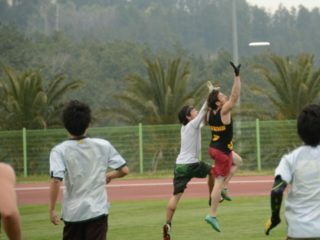 At a recent event that I was lucky enough to attend, he had World and National Champions, a Callahan nominee, a Hall of Famer, men and woman from local university programs, and dozens of boys and girls of every color playing in a four-on-four tournament. We were teaching the kids basic skills, but we were also connecting with the kids, having fun, playing, and interacting. The parents were watching from the edges of the field, not certain what it was they were watching, but still entertained while their kids dove for discs and celebrated goals. When a first grader caught his first-ever goal, both teams erupted in cheers, which stopped play on the neighboring fields so everyone could applaud the milestone. After the game, we all sat down in a huge circle and the kids took turns talking about what they had learned and giving shout outs to other players who they thought had played well. Without even realizing it, the kids were developing public speaking skills. And more importantly, they were developing courtesy for one another. Each speaker was given full attention by the group when it was his or her turn to talk and was rewarded for showing respect to teammates and opponents. Ultimate Impact helps teach kids how to throw, cut, defend, and mark, but this is secondary. The mission statement best describes its primary goal: Improve the lives of underrepresented youth through the sport and community of ultimate. This is why local administrators and partners have asked Rocky to bring the program into more schools. By the end of 2017, Ultimate Impact was working with five elementary and middle schools. By March 2018, Ultimate Impact has added three more schools and programs to its portfolio with a goal to expand to more than 12 Bay Area schools by the end of 2018. The contributions I’ve made to Ultimate Impact of my time, money, and professional expertise have paid huge dividends in my life as I’ve seen first-hand what kind of difference it is making in the lives of kids. I want to share what Ultimate Impact is doing with the broader ultimate community in the hope that others might be interested in learning more about our work and how it’s changing lives. If you care about ultimate, if you want to see it have an impact on the lives of kids in need of positive influences, if you think ultimate will be a more vibrant sport when it reflects the social, ethnic, and cultural diversity of the country and the planet, then you should know that there is something remarkable and important happening right now in San Francisco. Learn how to get involved with Ultimate Impact at http://ultimate-impact.org/ or contact Rocky directly at rocky@ultimate-impact.org.